This is a bespoke, innovative, sustainable and high-quality family home to meet the requirements of Paragraph 55 of the National Planning Policy Framework. The proposals have been submitted to the council and await feedback from the planners in due course. The site currently forms pasture land used for grazing horses as part of the Heath Liveries in Browston, Great Yarmouth. The house has been designed to form an intrinsic part of the landscape. 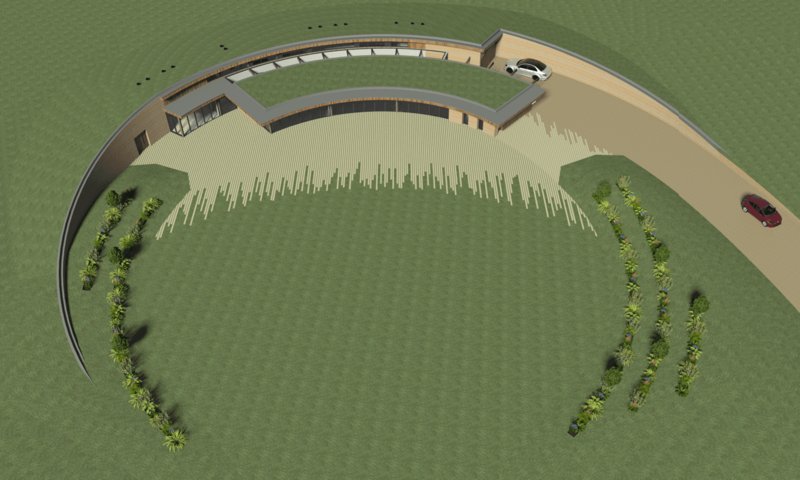 The part sunken form and encapsulating green roofs were devised to help reduce its visual impact upon the surroundings. The soil excavated as part of the construction will be retained on site and re-used to construct the rammed earth walls and green roof forming the envelope of the new house.